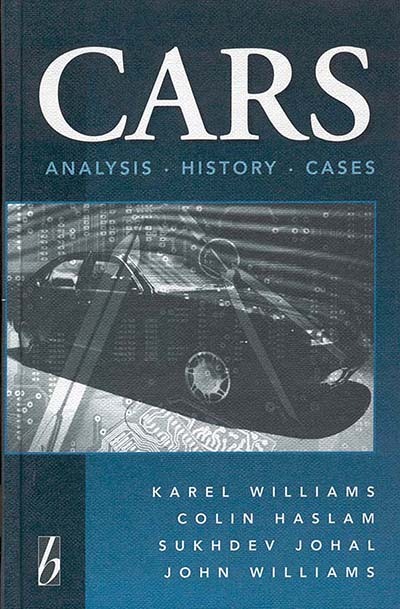 Through developing an original analytical framework that, for the first time, systematically relates productive, market and financial variables, the authors are able to rewrite the history of the car business since Henry Ford. Karel Williams teaches at the Department of Accounting and Finance, University of Manchester. John Williams is Professor at the Department of Economics and Agricultural Economics, University of Wales at Aberystwyth. Colin Haslam and Sukhdev Johal direct the Business Policy Group at the East London Business School, University of East London.